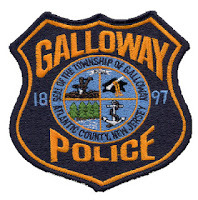 According to Police, an early morning accident on Sunday has sent a Galloway man to the hospital with a head injury. Tuan Tran, 27 of Galloway Township stepped out in front of a vehicle driven by Mark Kolesinski, 19 of Atlantic City on May 5, 2013 at 2:46 a.m.
Kolesinski the driver of a 1998 Nissan Maxima was traveling in the eastbound lane on Great Creek Road when Tran stepped out in the lane of traffic and was struck by Kolesinski. Tran was transported to Atlanticare Medical Center in Atlantic City with a head injury. It is unclear why Tran stepped out in front of Kolesinski's vehicle. The accident is being investigation by Patrolman Kevin Costa and no summonses were issued, according to Police.